What is a Breathing Problem? Home → Resources → What is a Breathing Problem? You may notice a breathing problem when your child is coughing a lot or breathing faster or harder than normal. Sometimes a doctor or nurse may even hear wheezing (this is a high-pitched whistling sound when breathing out) and may say that your child has bronchiolitis, wheezy bronchitis, reactive airways, asthma, or pneumonia. Breathing problems are more than just a stuffy nose; they are times when your child has shortness of breath, wheezing, or a cough so intense that it may wake your child up during the night or even cause your child to vomit. We realize that it may be scary if your child has breathing problems. We want you to know more about these signs and symptoms so that you can more easily recognize them. Below we list some signs that you can use to determine if your child is having difficulty breathing. 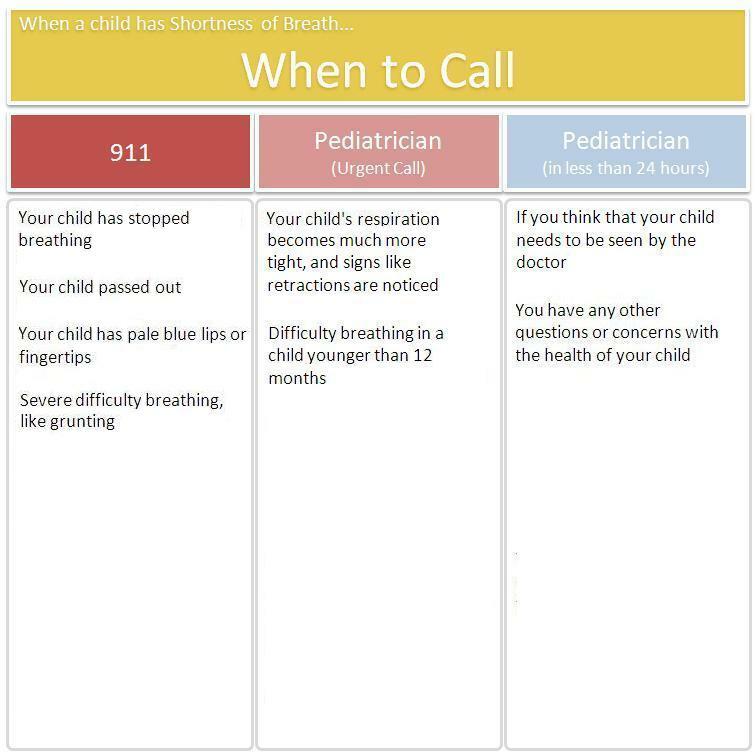 All of the signs below mean your child is having difficulty breathing and we encourage you to call your child’s primary care provider as soon as possible to discuss what is happening to your child, especially if the sign persists. However, some signs are more serious (not breathing and turning blue) and require more immediate help by calling 911. One common sign of shortness of breath is a fast breathing rate. Although infants have a faster breathing rate than adults and counting your child’s breathing rate can be difficult, we encourage you to call your child’s primary care provider if you think your child is breathing faster than normal. Watch the movement of your child’s nostrils. If the nostrils spread open when your child breathes in, this is a sign that your child is working harder than normal to breathe. The medical term for turning blue is “cyanosis,” and you can identify it by a bluish color around your child’s mouth, inner lips, or fingernails. This is a sign that your child’s blood may not contain enough oxygen. If you notice this pale blue or gray discoloration while your child is having a breathing problem, you may need to call 911 and go to an Emergency Room. 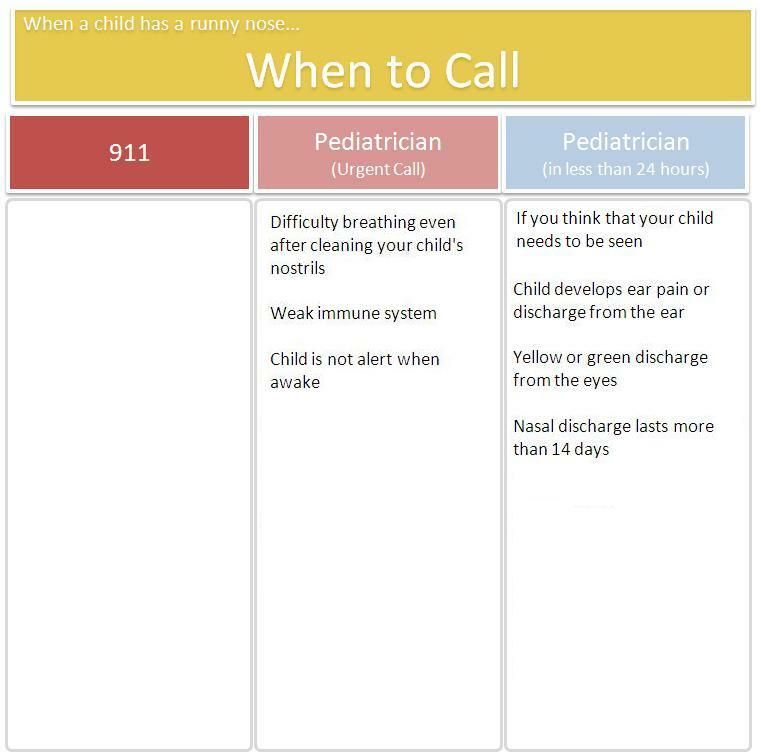 If your child temporarily stopped breathing (see below) and you notice this pale blue or gray discoloration, call 911 right away; your child needs medical attention. When your child has retractions his or her chest may appear to sink in below the neck, under the breast bone, or between the ribs with each breath. It may look like these areas are sucking inward and this is a sign that your child is having difficulty breathing. Click here to watch a video of a child with retractions. If your child grunts consistently when breathing out, it is a sign that your child is having more severe difficulty breathing and should be seen in the Emergency Department. Another name for this is “apnea,” and it is a medical emergency. If your child ever stops breathing longer than 10 seconds, especially during an awake period, this could be a sign of a serious condition. 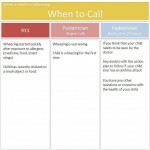 Call 911 right away; your child needs medical attention. 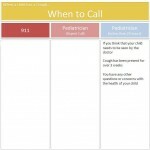 When to call for help with shortness of breath? Wheezing is a high pitched whistling sound heard as air flows through narrowed airways, most often when a child is breathing out. This is usually heard by a health care provider with a stethoscope. Wheezing is due to narrowing of the lung airways. A common cause of narrowing is contraction of the airway muscles, which is known as “bronchoconstriction” and can be caused by many factors, including inflammation, infection, or allergic reactions. One of the main causes of wheezing for children younger than 2 years is bronchiolitis, when the smallest airways (“bronchioles”) are affected. The most common cause of bronchiolitis is a viral infection caused by RSV, a very common type of virus. Wheezing is also heard in patients with asthma. When a child is exposed to a respiratory virus (such as RSV ), air pollution (such as tobacco smoke), or an allergen (such as pollen or animal dander), the airways may react by narrowing. 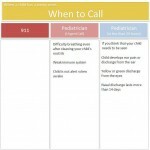 If your child has been diagnosed with asthma by a healthcare provider and he or she has an asthma attack, follow the doctor’s written indications or “action plan” to manage each asthma attack. 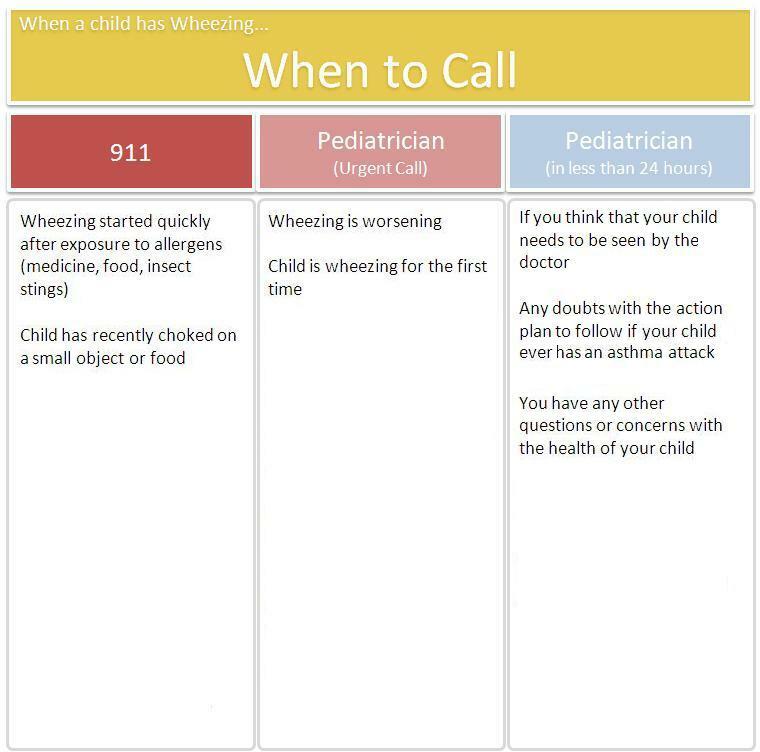 If you do not have an “action plan” and you think your child is wheezing, we encourage you to call your child’s primary care provider to learn how best to manage your child’s wheezing. Other causes of wheezing could be choking on a small object or food. If wheezing happens suddenly after ingesting a medication or food to which your child may be allergic, call 911 and go to an Emergency Room. When to call for help when wheezing? Coughing is triggered by irritation of the airways– it helps keep the airways clear from lung irritants such as smoke, pollen or mucus. Respiratory infections (like colds, bronchiolitis, or pneumonia) and asthma are among the most common causes of cough in children. Although coughing “cleans” the airways, it can get severe enough that it wakes your child during the night and may even cause vomiting. 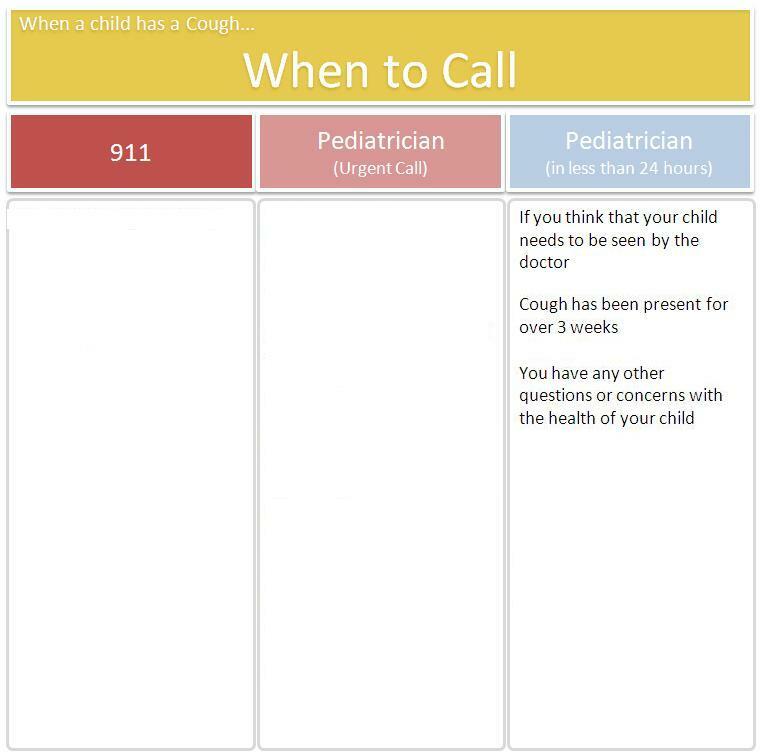 We encourage you to call your child’s primary care provider to learn how best to take care of your child’s cough. When to call for help when coughing? If your child has a fever, you may notice that he or she feels warmer than usual, has flushed cheeks, sweats, and may even shiver. A fever is when your child’s body temperature is higher than 100.4 ⁰F (38 C⁰). 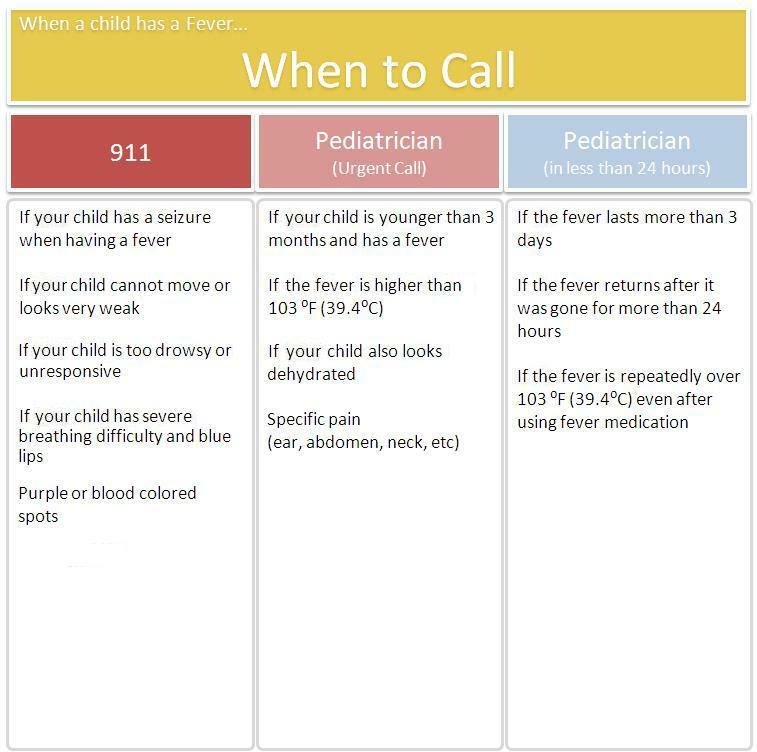 There are different ways to measure body temperature; if you do not know how to measure your child’s temperature, the American Academy of Pediatrics has developed this useful resource on how to measure a fever. A fever may be caused by many things, but most of the time it is caused by an infection. The fever means your child’s body has turned on its immune system to help fight the infection. What are the Causes and Symptoms of a Cold? A cold is caused by different viruses that infect your child’s nose or throat. One of the first symptoms of a cold is a runny or congested nose. Nasal discharge may be clear, cloudy, yellow, or green. Other symptoms may be red, watery eyes, cough, fever, or sore throat. A child with a healthy immune system should have no problems following a cold. However, the viruses that cause colds sometimes make it easier for bacteria to cause infections of the ear or lung. If you think your child has a bacterial infection of the ear or lung, we encourage you to call your child’s primary care provider. 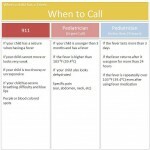 when my child has a cold? Remember to collect a Healthcare Utilization swab if your child has a breathing problem that prompts you to seek medical care. how to take a nasal swab.